My hubby few days back bought frozen scallops from the market. I have eaten scallop a number of times in restaurants, but never cooked it at home. 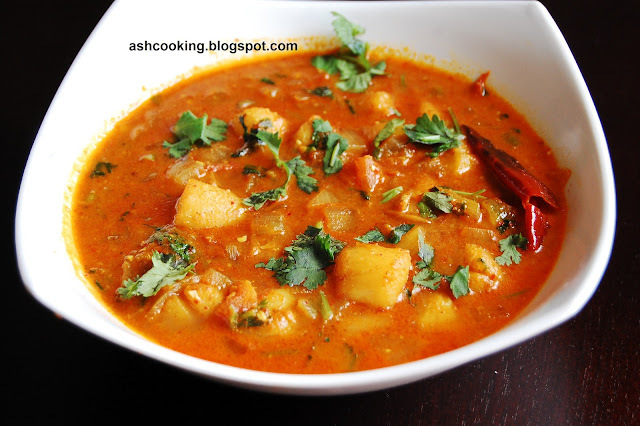 Not having any continental scallop recipe handy, I relied on my instinct to conjure up a spicy flavorsome scallop curry that perfectly conformed to our Indian taste bud. 1) Rub a bit of oil and turmeric powder on the scallops. Sear them in smoking hot oil. Keep aside. 2) Into the same oil, add dry red chillies and wait for them to sputter. Add onion and fry till translucent. 3) Add ginger-garlic paste and spice powders. Sauté for 2 minutes till oil leaves the side. 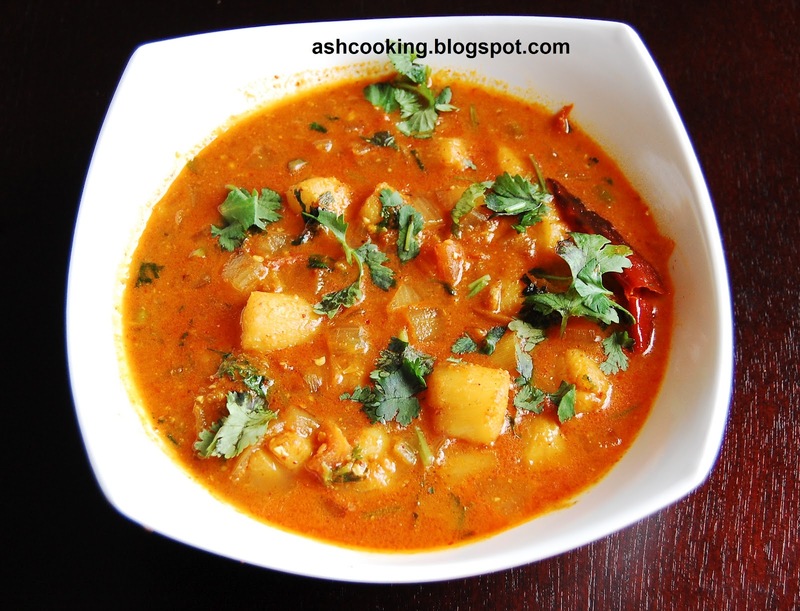 4) Add tomato and green chillies. Cook till tomatoes soften. 5) Measure out water as per your liking for the gravy. Toss in the scallops. Add salt. 6) Bring the gravy to a boil. Garnish with coriander leaves. 7) Serve hot with steaming rice.